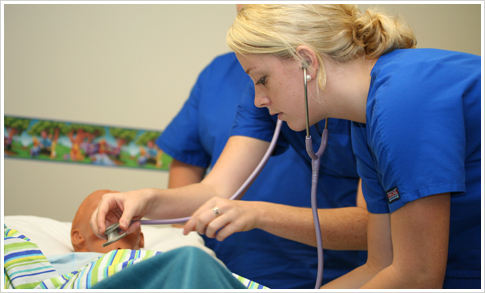 Most people think that the nursing profession is the hardest, most complicated and toughest job on earth. But, for most registered nurses, they feel that they are the luckiest people because they were given the chance and opportunity to touch and help the lives of the sick, needy and weak people. However, it is not easy to become a good nurse. Registered nurses have to prove that they are worthy of their profession. Experts say that good nurses can contribute to the success and stability of the patient’s condition. Most RN’s don’t just apply theories and knowledge in treating patients. They also use personal touch, empathy and care. A good nurse is responsible enough to know all her responsibilities to their patients. A nurse’s main responsibility is to assess, diagnose, plan for care, implement care and evaluate the outcome of care. A good nurse knows that there is no room for error , otherwise, they will harm and complicate the patient’s condition. In addition, a responsible nurse never fails to perform her duties even in emergency situations. A good and effective registered nurse is open-minded, understanding and caring. They also have the capability to empathize with the patient’s situation. Generally, nurses deal with different patients and situations every day. Some of them loose their patience and focus. However, it is very understandable since some patients and family members have high and intense emotions which leads them to panic and argue with nurses. A good and effective nurse will always compose herself and will do everything to provide better care to improve patient’s condition. Nurses know that to have a smooth and passive workplace, they should have good communication and coordination towards other healthcare team member. In order to provide the best care to patients, they should be able to communicate and listen well. Also, good nurses follow directions from their superiors and doctor’s order. Nurses that have good communication skills can prevent medical errors and can achieve great patient’s satisfaction. These traits can help aspiring nurses to become effective. However, it should be combined with other positive behavior.